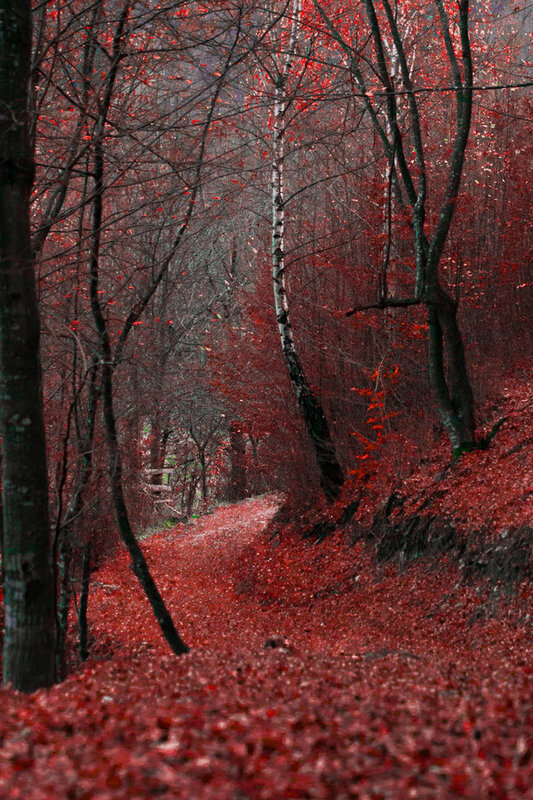 Into the woods, colored like blood. Against the leaves, soaked in our love. Under the trees, witnessed our oath. Beneath the sky, displaying my growth. Opening high, the wings of my mind. Seeking that one thing we never find. I’ll carry you… away… to me. In my dreams. You’ll see. The “blood/love” rhyme is very evocative. Have you been lurking in my head? cara’Mel, you captured vows…words anyone would long to hear flowing from loves heart.